People research different lighthouses, decorate their houses with them, and plan their vacation destinations around them. 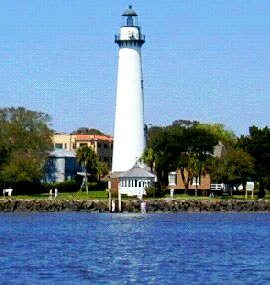 Â If you’re a lighthouse buff, Saint Simons real estateÂ provides a place where you can enjoy the object of your affection up close and personal. There is a museum at the same location that will tell more of the history of the lighthouse along with tales of what life was like for a lighthouse keeper and his family. Â The lighthouse became fully automated in 1954, and still shines out into the sea every night.